SPECIALIZED STEM LEADERSHIP PRECONFERENCE WORKSHOP - FEATURING STEAM EDUCATION! opportunities coming to Atlanta in 2018! Click to see workshop descriptions/pricing. FREE POSTER FOR YOUR CLASSROOM! All attendees will receive the 80th Anniversary Conference Commemorative Poster. 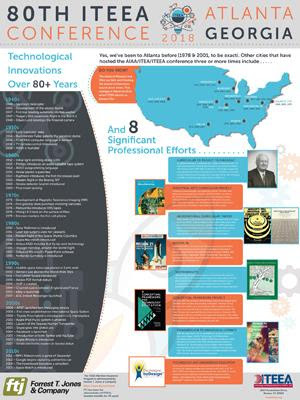 The poster is 18”X24” and features technological innovations and significant professional milestones over the last 80 years. COMPLIMENTARY ADMINISTRATOR REGISTRATION FORM - Administrators may use this form to receive a sponsored, free registration to ITEEA's 80th Anniversary Conference. Free to first 50 registrants! INVITE YOUR ADMINISTRATOR - Use this letter to invite your administrator to ITEEA's 80th Anniversary Conference at NO REGISTRATION COST. PROFESSIONAL DEVELOPMENT SUPPORT LETTER - Give this letter to your administrator to gain support to attend ITEEA’s 80th Anniversary Conference. Skills21 is offering a PD on personalized learning and Capstone. The program is supported by an NSF grant and focuses on STEM and entrepreneurship. Personalized learning and senior year Capstone experiences are uniquely suited to work together to achieve important STEM learning outcomes for students. If you currently have, or are considering adding, a Capstone course to your high school curriculum, you will benefit from this two day professional development session from the learning specialists at EdAdvance’s Skills21. Skills21 has a National Science Foundation supported Capstone course which can serve as a model for any district that wants to apply its lessons learned. The STEMStarter Capstone program focuses on promoting entrepreneurial traits in students and increasing STEM career interests. Day 1 (Tuesday, March 13, 2018) will be focused on professional development that will allow teachers and administrators the opportunity to explore the Skills21 approach to personalized learning, challenge based lesson design, and the Skills21 Capstone curriculum. Day 1 will be held at the Chrysalis Center in Hartford from 8:30-2:30. Day 2 (Friday, May 18, 2018) of the workshop will give participants an opportunity to interact with students that are currently enrolled in this course during the 2017-2018 school year and then actually be a judge for these same projects as part of the 2018 Student Innovation Expo Fest. This judging experience will also provide an opportunity to interact with Trackpad, our customized platform designed to facilitate the judging and assessment of Capstone projects. Day 2 will be held at Expo Fest at the Toyota Presents Oakdale Theater in Wallingford, CT from 12:00-4:00. To register for this professional development opportunity go to this form https://docs.google.com/forms/d/e/1FAIpQLSekKyGeTe6hC1vEB47p8l5dj-d9yUyH5-FPmgHFb--v0xtnAQ/viewform. How might we support productive struggle in learning mathematics? How might using activities that provide for visualization and conceptual development of mathematics help students think deeply about mathematical ideas and relationships? Build on your T³™ webinar experience Join us in San Antonio to explore practical, results-proven strategies for supporting productive struggle to develop a growth mindset in your classroom. The Statistics Symposium, taking place on Saturday, March 3, during the Teachers Teaching with Technology™ (T³™) International Conference in San Antonio, Texas, will give you new ideas and resources to use with students from grades 6–12. 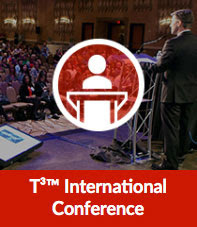 The T³™ International Conference also includes two full days of hands-on professional development sessions for math, science and STEM educators. When you register for the conference, you can take advantage of a $30 discount by using code ETC30 at check out. For those of you who haven't already registered for the next Math Encounters presentation, we are happy to announce that Susan Goldstine will be presenting "The Fabric of Symmetry: Connecting Mathematics and Fiber Arts" on Wednesday, February 7. About the talk: What do knitting, embroidery, and beadwork tell us about symmetry? What does symmetry tell us about design in textiles? Join us in an exploration of contemporary mathematical fiber arts with Susan Goldstine, Professor of Mathematics at St. Mary’s College of Maryland and Associate Editor of the Journal of Mathematics and the Arts. Special introduction by Robert P. Crease, Chair of the Department of Philosophy, Stony Brook University. MoMath is pleased to offer two sessions of the upcoming Math Encounters presentation. The first will begin promptly at 4:00 pm, with light refreshments served afterward. The second will begin promptly at 7:00 pm, with light refreshments served beforehand, at 6:30 pm. Both presentations will be held at MoMath, which is located at 11 E 26th Street in Manhattan. Note that if you are waitlisted, you will not be admitted to the seating area until all registered participants have been accommodated. To learn more about Math Encounters, visit mathencounters.org. Are you an adminstrator or a school leader? 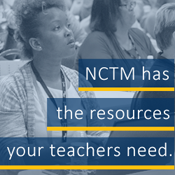 Check out NCTM's Leaders in Math Education page. 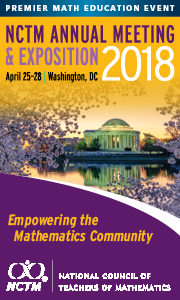 At Leaders in Math Education, you can find tools for classroom instruction, online professional development materials, information on conferences and events, and much more. Students work with subtraction at the intuitive level as they explore number families and ways to decompose numbers to 10. They will also identify members of fact families, a set of three (or two) numbers that can be related by addition and subtraction. In this lesson, students complete a chart by adding or subtracting from a given value, use graphs to compare two categories of information, and identify number patterns. In this lesson, students classify polygons according to more than one property at a time. In the context of a game, students move from a simple description of shapes to an analysis of how properties are related. This lesson was adapted from an article that appeared in the October 1998 issue of Mathematics Teaching in the Middle School. This lesson focuses on having students make connections among different classes of polynomial functions by exploring the graphs of the functions. The questions in the activity sheets allow students to make connections between the x-intercepts of the graph of a polynomial and the polynomial's factors. This activity is designed for students who already have a strong understanding of linear functions, some knowledge of quadratic functions, and what is meant by a polynomial function. A man has to take a wolf, a goat, and some cabbage across a river. His rowboat has enough room for the man plus either the wolf or the goat or the cabbage. The State of Connecticut is participating in an innovative, new cybersecurity training partnership with the SANS Institute that will increase access to young women in high school with the opportunity to explore their interests in cyber studies and learn basic cybersecurity skills in an effort to inspire the next generation of cybersecurity professionals while identifying talented youth. The initiative, known as GirlsGoCyberStart, was initiated by SANS following the recent launch of their CyberStart program, which enabled 3,500 students in seven states to discover and demonstrate their aptitude for cybersecurity. Young women in high school in Connecticut will be competing with students in 15 other states and American Somoa. Registration will begin on January 29 and ends on February 16, 2018. The first 10,000 young women in high schools in these states who have registered may play the game online from February 20 through 25. An introductory web site with answers to other questions potential participants may have, a fuller description of the game, and a sample challenge is now available online at https://girlsgocyberstart.com/.